Sanya boasts a variety of cuisines in its many restaurants. Due to its seaside location, seafood is by far the most dominant aspect of the local cuisine. 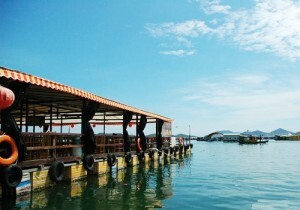 Some of the rare fare found in Sanya’s waters include sea cucumbers, abalone, and sea urchins. Other commonly found dishes prepared here include shrimp, crab, trumpet shells, and daily fresh catches brought in by local fishermen. 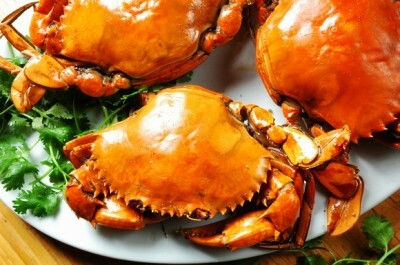 Characteristic Hainan flavors found in Sanya are juicy tropical fruits, as well as poultry dishes such as Wenchang Chicken, East Goat, Boiled Jiaji Duck, and crab, resulting in dishes with extremely high nutritional content. Known for serving up some of the best fresh seafood dishes in Sanya, the fat lady is always a gracious host to anyone who visits her quaint, yet comfortable restaurant. Recommendations include the fresh prawns, fat crab, big abalone, rock fish, and apple snail. This floating restaurant provides a unique dining experience that promises delicious local flavors. The best way to dine here is by making a reservation ahead of time so Brother Lin knows to wait for your party at the port. From there you will depart on a locally guided journey filled with fresh seafood. Upon your return Brother Lin will arrange your trip home with the taxi driver. If you are looking to get a taste of traditional dishes native to China’s northeast provinces, Dongbeiwang is a perfect choice. Many of the local residents living in Sanya are in fact native to northeastern regions, so cuisine from this area is among the most popular here. Be sure to try the famous Li specialty served here, rice cooked in bamboo trunks. Trunks are cut down the middle and stuffed with a flavorful assortment of rice, meat, peas, coconut kernels, and seasonings then baked over an open charcoal grill.